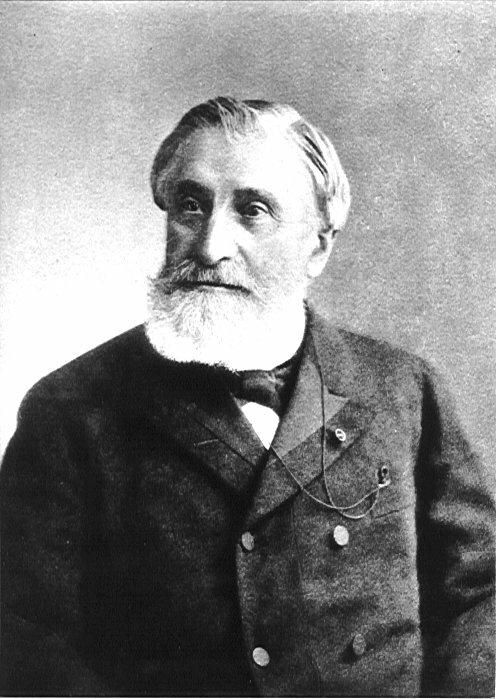 Gustav Moynier – one of the founders of the International Committee of the Red Cross –proposed a permanent court in response to the crimes of the Franco-Prussian War. Calls for an ad hoc international court to try the Kaiser and German war criminals of World War I. 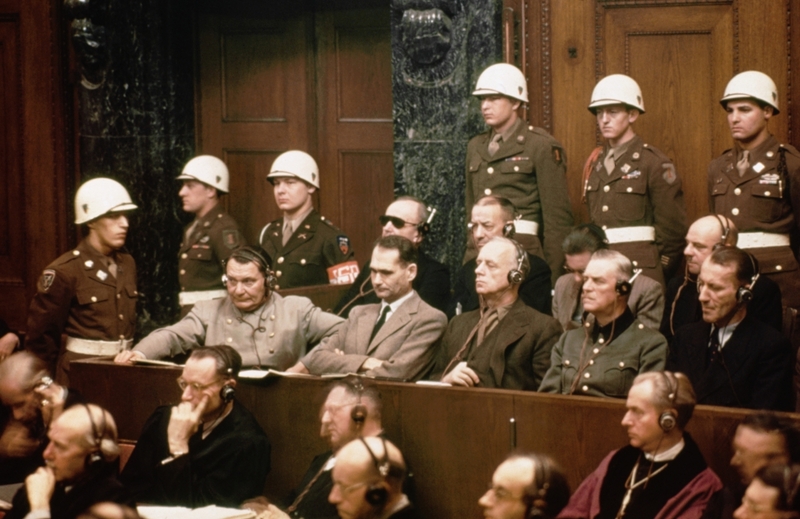 The Allies set up the Nuremberg and Tokyo tribunals to try Axis war criminals. 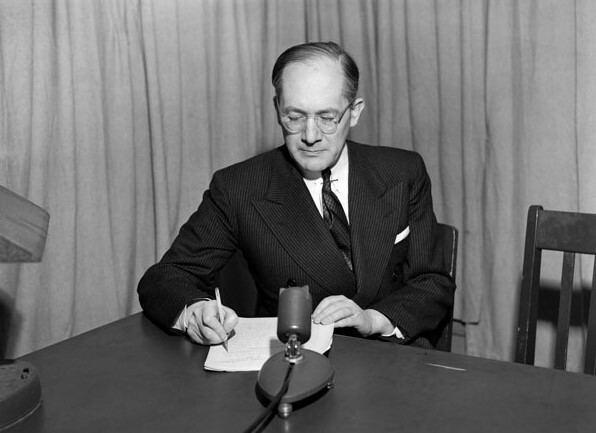 While the ILC drafted such a statute in the early 1950s, the Cold War stymied these efforts and the General Assembly effectively abandoned the effort pending agreement on a definition for the crime of aggression and an international Code of Crimes. The end of the Cold War opens up space in the international arena for renewed collective action. 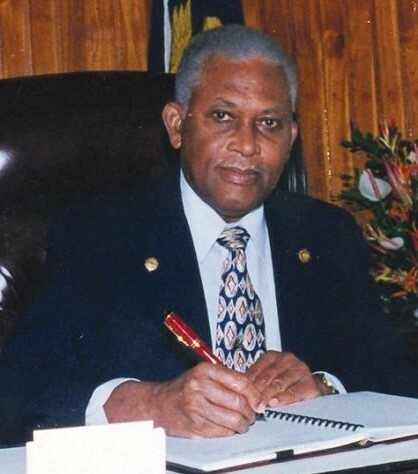 In June 1989, motivated in part by an effort to combat drug trafficking, Trinidad & Tobago resurrected a pre-existing proposal for the establishment of an ICC and the UN GA asked that the International Law Commission resume its work on drafting a statute. The conflicts in Bosnia-Herzegovina and Croatia as well as in Rwanda in the early 1990s and the mass commission of crimes against humanity, war crimes, and genocide led the UN Security Council to establish two separate temporary ad hoc tribunals to hold individuals accountable for these atrocities, further highlighting the need for a permanent international criminal court. After considering the Committee’s report, the UN GA created the Preparatory Committee on the Establishment of the ICC to prepare a consolidated draft text. From 1996 to 1998, six sessions of the UN Preparatory Committee were held at the United Nations headquarters in New York, in which NGOs provided input into the discussions and attended meetings under the umbrella of the NGO Coalition for an ICC (CICC). In January 1998, the Bureau and coordinators of the Preparatory Committee convened for an Inter-Sessional meeting in Zutphen, the Netherlands to technically consolidate and restructure the draft articles into a draft. 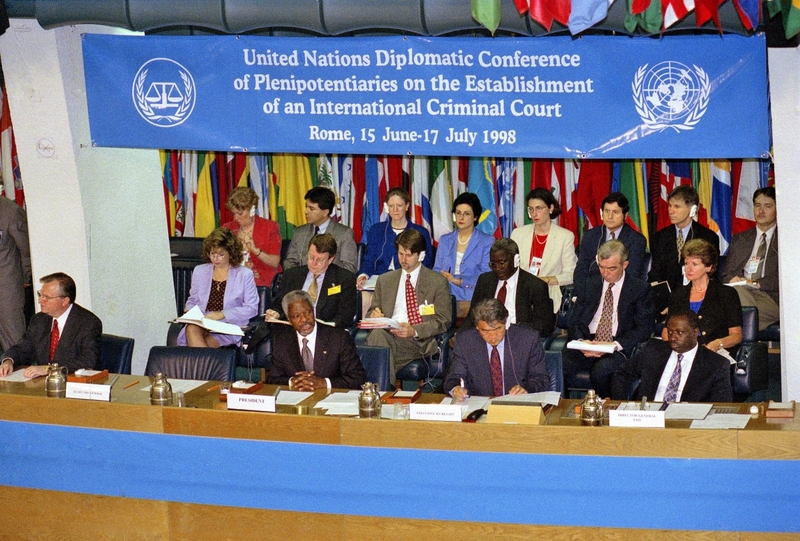 The United Nations Conference of Plenipotentiaries on the Establishment of an International Criminal Court, known as the “Rome Conference,” took place from 15 June to 17 July 1998 in Rome, Italy. More than 160 governments participated in the conference, many with sizable delegations. At the end of the five weeks of intense and often emotional deliberations, 120 nations voted in favor of the adoption of the Rome Statute of the International Criminal Court. Only 7 nations voted against the treaty (including the United States, Israel, China, Iraq, Qatar), while 21 countries abstained. The Statute was then open for signature and ratification. The Coalition for the International Criminal Court actively participated in the Rome Conference – monitoring the negotiations, producing daily information for worldwide distribution and facilitating the participation and parallel activities of the more than 200 NGOs which attended. The CICC coordinated the input of civil society organizations through Issue Teams that closely followed discussions on particular provisions of the draft statute. Civil society is credited with some of the most important aspects of the Statute, such as its strong provisions for gender crimes and the independence of the prosecutor.